We are pleased to recognise the following partnerships which enable us to continue offering our vital services in the community. We are pleased to be one of the chosen charities to be recipients of the 2018-2019 RAG fundraising efforts made by the University of Surrey Students’ Union. 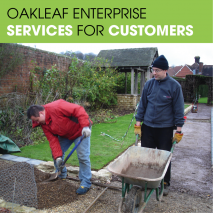 The Students’ Union felt that partnering with Oakleaf would be a great opportunity to not only support local individuals with their mental health but also to encourage students to think about their own mental wellbeing. 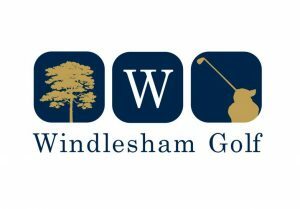 We are proud to be Windlesham Golf Club’s Capitan’s Charity of the Year for 2019 and can’t wait for future fundraising events with the club. 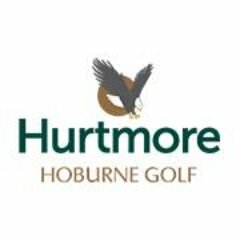 Thank you to Golf Captain, Andy Bird for choosing Oakleaf as Hurtmore Golf Club’s Captain’s Charity of the Year for 2019. We look forward to fundraising events throughout the year and spreading mental health awareness. 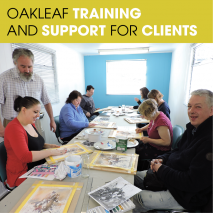 The Guildford and Waverley Safe Haven at Oakleaf aims to reduce emotional and psychological distress and to offer an alternative to attending A&E when people are experiencing or at risk of escalating to a mental health crisis. We are very proud to be part of this community partnership. Click here for more info on this initiative. We are delighted that the Guildford Town Guides have chosen Oakleaf as their Charity of the year for 2019. The public tours they do are free, but donations are requested for private groups. This year, these funds will mainly come to Oakleaf. A tour with one of the friendly volunteer guides is a wonderful way to discover how the town became what it is today. Go to www.guildfordwalks.org.uk for more information on their programme. 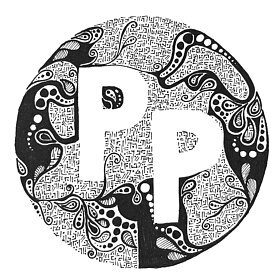 The wonderful Pattern Project has been raising money for Oakleaf through the sale of its stylized illustrations on Etsy. All proceeds from ‘The Inner Beast’ series come to Oakleaf with proceeds of all other items on the store split equally between the Pattern Project’s chosen charities. 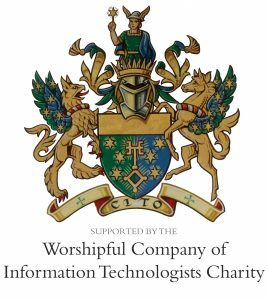 Thank you to the Worshipful Company of Information Technologists for supporting Oakleaf and the refurbishment of our IT equipment. Building upon the success of the last 4 years, we are proud to be part of The Welcome Project, working alongside Catalyst offering support in the community. We are proud to have partnered with Guildford’s George Abbot School to provide counselling for students’ mental health and wellbeing. This partnership is a fundamental step towards addressing the needs of children and young people with mental health problems. 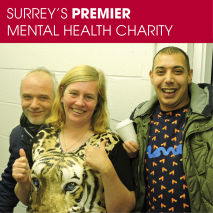 We are pleased to have on-going support from Guildford Borough Council and Waverley Borough Council. We are so pleased to have an ongoing partnership with Bounce Foods, an energy ball snack company encouraging people to eat healthily and look after their physical wellbeing. Bounce have taken an active role at Oakleaf by encouraging our clients to think about the nutritional benefits as well as the mental health benefits of eating well. 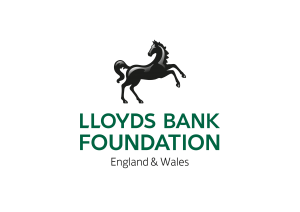 Thanks to a grant from Lloyds Bank Foundation for England and Wales, we will receive three years’ worth of funding to deliver IT and digital training courses to our clients. Kelly’s Storage Charity Events are a fantastic organisation who have helped fundraise and raise awareness of Oakleaf and the work that we do in the community. Their inaugural Guildford 10k Run in February 2019 was a huge success and we look forward to working with them in the future. We are pleased to have an on-going partnership with RHW Solicitors. 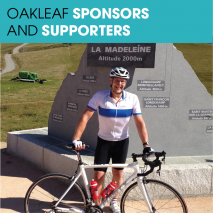 The firm has supported various events, such as sponsored sportives, bake sales, dress downs and event sponsorship! We look forward to continuing to work with this great team! We have been receiving support from Zurich Community Trust through their generous grants to fund our IT courses as well as lots of their staff volunteers taking part at our client summer BBQ. 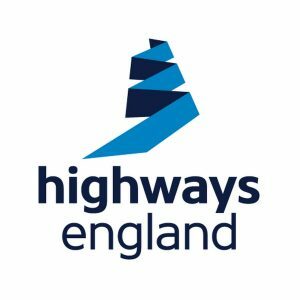 Highways England have a very proactive team of Mental Health First Aiders who have really enjoyed being a part of Oakleaf - from repainting our art room, raising money through a festive jumper days and donating gifts for our client Christmas party. We’ve loved having them on board!